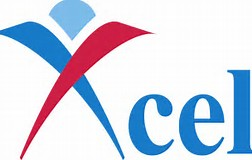 XCEL Gymnast will Compete in 4-5 Local Competitions, you may also qualify for State and/or Regionals competition. Training will be 2-4 days per week, 6-14 hours per week. The approximate cost of the season will be around $1150 which does not include MONTHLY Tuition. There are five divisions of Xcel: Bronze, Silver, Gold, Platinum and Diamond. Gymnast may compete once they have reached their 5th birthday. Gymnast may compete in a State and Regionals Competition if they qualify at an appropriate competition.